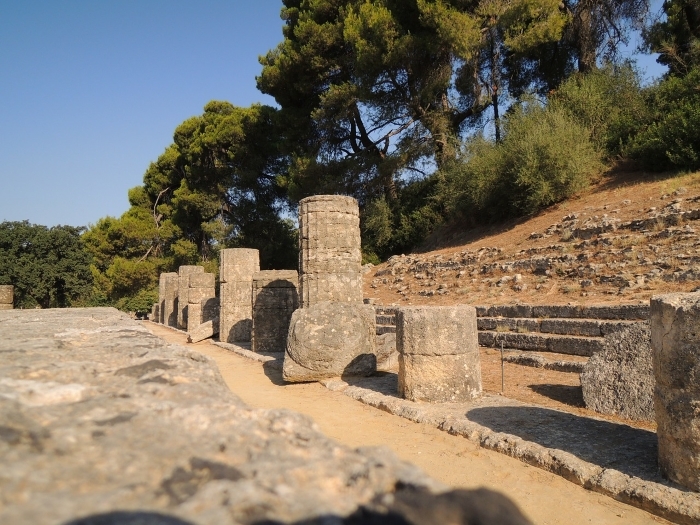 Olympia attracted athletes and spectators from all over Greece to take part in the Olympic Games, which were held every four years without interruption for over 1,000 years. 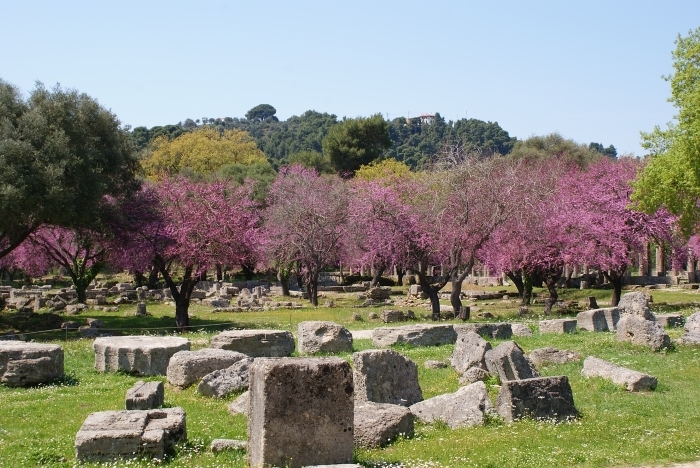 The games were first officially held at Olympia in 776BC and contests ranged from chariot races to poetry and music, but it is the running track here which is the site's greatest attraction to many of today's visitors. Temples and other buildings may have crumbled, but the simple running track with its starting and finishing lines still intact seems to put us in more direct touch with the Ancient Greeks as people, just like us. Walking down the entry tunnel and under an arch that dates back to the 3rd century BC takes you right into the stadium itself. Stand in the centre of the stadium, which was built in the 4th century BC, and it is easy to imagine the 20,000 spectators cheering the contestants on. Their prize was traditionally a branch from a sacred olive tree, but perks from their home towns were certainly also available. This is the stadium where the Olympic torch is lit every four years and then carried around the world to the host city of the next Olympics. There is much more of interest at the site than simply the stadium, however. It's surprising how large the site is, a reminder that it was the ancient equivalent of modern Olympic villages, catering for the arrival of thousands of competitors, and their entourages. 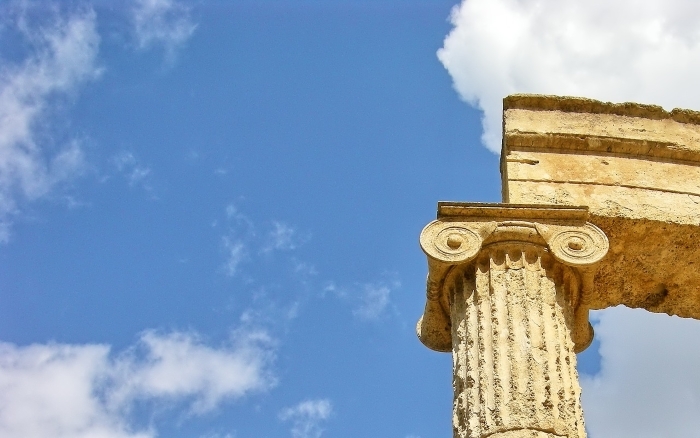 The remains of the Great Temple of Zeus (5th century BC) show the effects of an earthquake in the 5th century AD which threw its columns to the ground. It was the centre of the site and the same size as the Parthenon in Athens, giving an indication of its importance. At the opposite end of the scale is the studio of the sculptor Pheidias, who worked here on making the statue of Zeus for the temple. Pheidias is also the man who was behind the work on the Parthenon in Athens. Across from the studio is the Leonidaion, which is the guesthouse where VIPs would stay. Behind this is the Bouleuterion, which was a meeting house where the equivalent of today's International Olympic Committee would hold their meetings. It's also where the competitors would swear to uphold the Olympic rules, before making their way into the stadium. A cup inscribed with the name of Pheidias was found on the site and is on display in the excellent site museum, which rivals museums in places like Athens and Delphi. It was the cup which helped archaeologists identify the location of the workshop, and tools from there are also on display. There are also well-lit displays of some fine statues, as well as bronze heads, helmets and a gallery of items directly connected with the Olympic Games. These include a bronze discus, stones used by weightlifters and some starting blocks which pre-date the existing stadium. 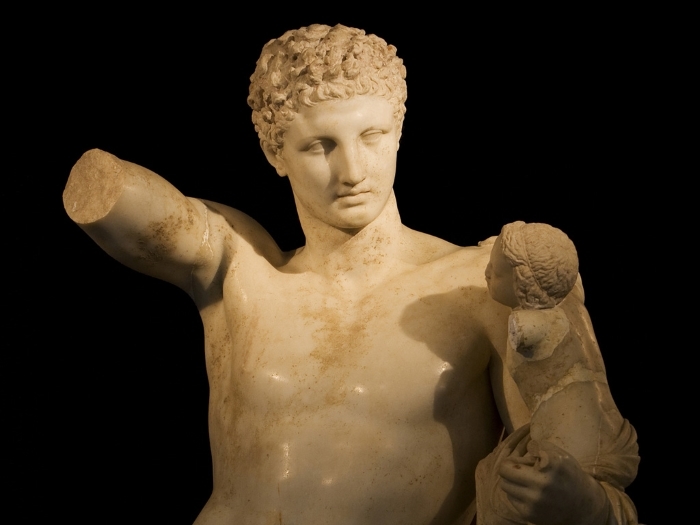 The star attraction in the museum is the Hermes of Praxiteles, a glorious marble carving of the messenger of the gods, sculpted by Praxiteles and considered to be one of the finest Classical statues to have survived the centuries.